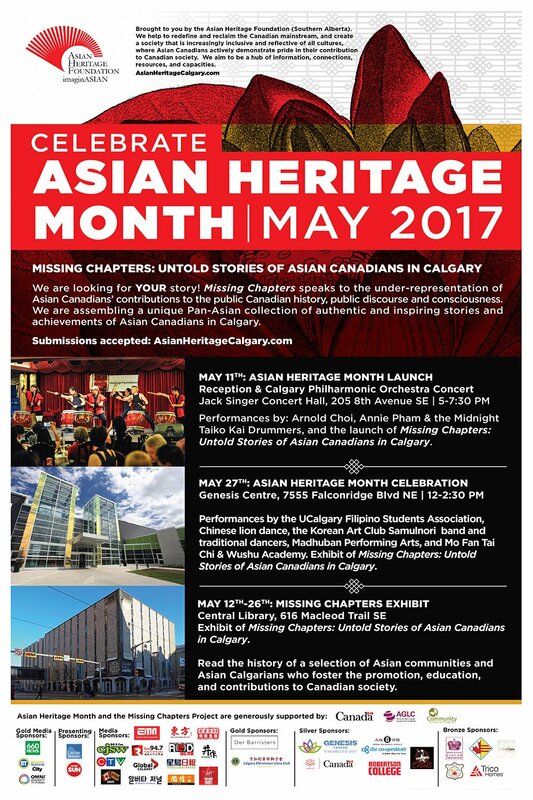 The Calgary Korean Art Club classes are now open to the public! 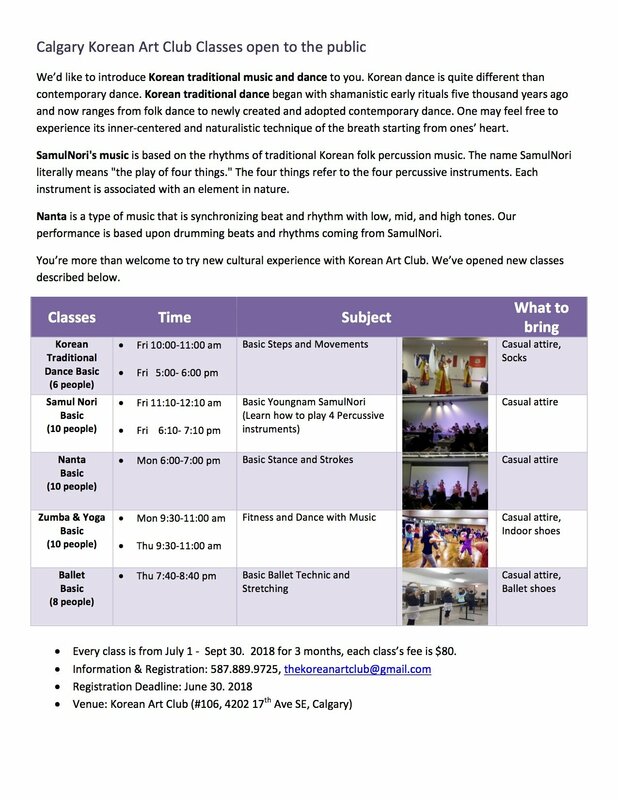 The Calgary Korean Art Club is introducing Korean traditional music and dance to you. Korean dance is quite different than contemporary dance. Korean traditional dance began with shamanistic early rituals five thousand years ago and now ranges from folk dance to newly created and adopted contemporary dance. One may feel free to experience its inner-centered and naturalistic technique of the breath starting from ones’ heart. SamulNori’s music is based on the rhythms of traditional Korean folk percussion music. The name SamulNori literally means “the play of four things”. The four things refer to the four percussive instruments. Each instrument is associated with an element in nature. Nanta is a type of music that is synchronizing beat and rhythm with low, mid, and high tones. Our performance is based upon drumming beats and rhythms coming from SamulNori. 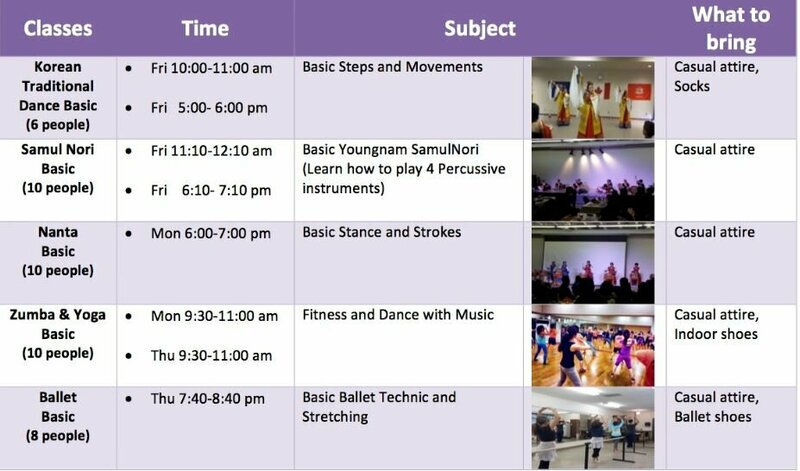 Every class is from July 1 – September 30, 2018 for 3 months. Each class fee is $80.00.